These poles have a universal fitting. They can be used to replace guy lines to create a more rigid windbreak. 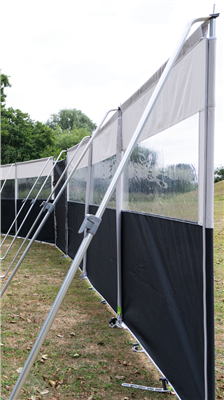 To use the Windbreak Support Poles it requires that the windbreak already has cross bars.